I scream, you scream, we all scream for NICE CREAM! I’m on a smoothie kick-whether it be in a glass or a bowl-I’m slightly addicted to them lately. That also goes for nana ice cream. I made this last week, and have been kind of daydreaming about it! I also took it as an opportunity to up my food styling game. The wild flowers in the countryside are just beautiful! In your blender, add all ingredients and blend until smooth. 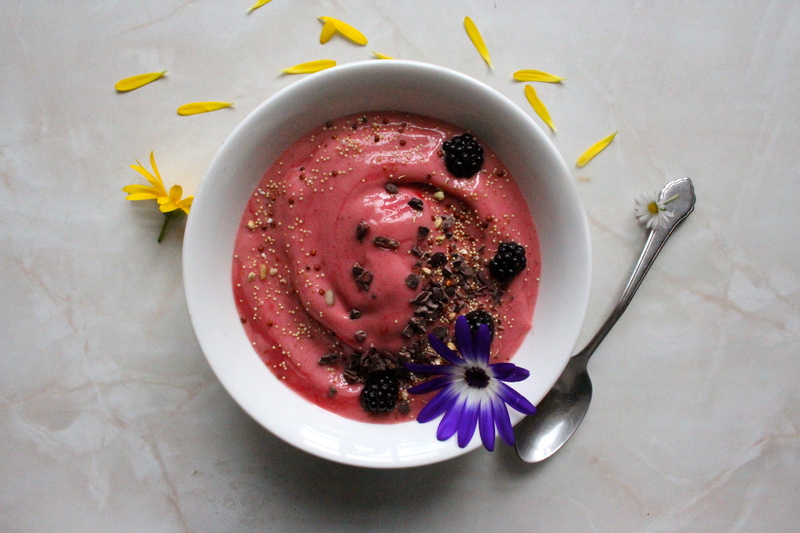 Put in a bowl, and it’s a more forgiving sorbet! Place in all ingredients in a blender, and mix until smooth. 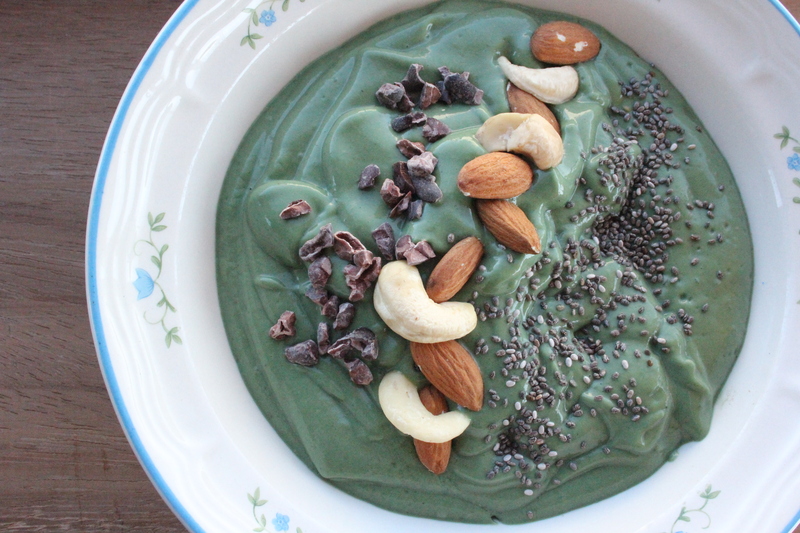 Pour in a bowl, and top with your favorite nuts, chia seeds, even a dollop of coconut yogurt. Enjoy for breakfast, a snack, or post-workout. 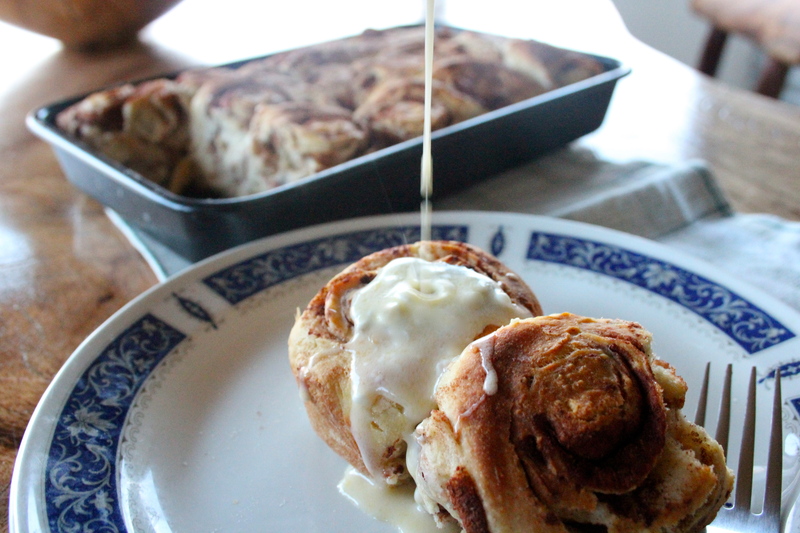 Pajamas, a cup of coffee, a good book, and a gooey, fluffy, warm cinnamon roll are what lazy days are made of! Although vegan(well not quite 100% vegan), these are incredibly decadent and you won’t want to stop at just one! These do take about an hour and half rising time, and another fifteen minutes for baking, but they are SO worth it! In small saucepan, warm almond milk and butter up over a medium heat(DO NOT BOIL, just until butter has melted). While milk and butter are warming, put flour, sugar, and yeast in a large mixing bowl. Make a well in the center of flour mix, and out in milk and butter mix, stir until mixed completely. Cover with cling film/plastic wrap or a tea towel and let dough rise for one hour. After one hour, completely mix in baking soda, powder and salt. Flour your counter top, and you’ll form the dough in a rectangle shape. Roll out your dough fairly thin(about half an inch). Now, it’s time for the filling! Brush on the melted butter, then sprinkle on the sugar, followed by the cinnamon. 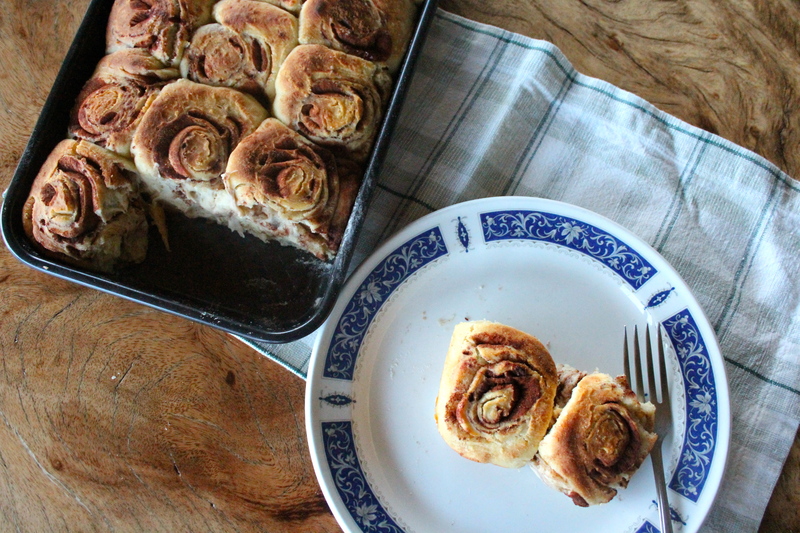 Roll the dough towards you (keep it pretty tight). Your dough will look like a snake, cut the snake into about one inch slices. Place in your choice of pans or a long dish. Let rise for another thirty minutes. While rising, preheat oven to 190C. 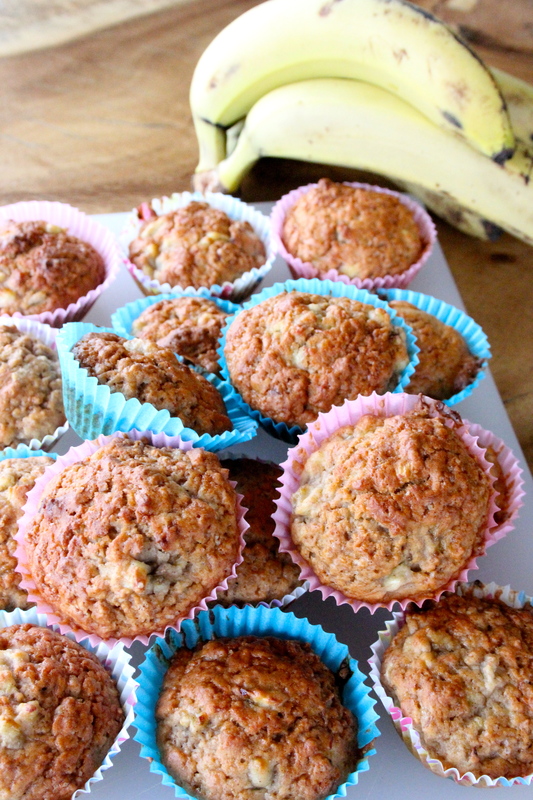 Cinnamon and banana muffins. These are ridiculously addictive! I call them muffins but these can also be easily turned into a batch of cupcakes for a party-go either way-you can frost them like a cupcake OR add oats/chia/flax seeds for a more muffin feel. Either way, packed with flavor and super enjoyable! Preheat oven to 140C. Line the muffin tin with paper cases. Put the butter and sugars in a large mixing bowl, and whisk until light and fluffy. SLOWLY beat in the eggs, one at a time. Pour in the milk. Then fold in the flour, baking powder, cinnamon and salt. Gently fold in the bananas. Spoon the batter into 12 cases(about two-thirds). Bake in the oven for 20 minutes or until golden brown. Allow to cool for few minutes before transferring to a wire rack to cool. 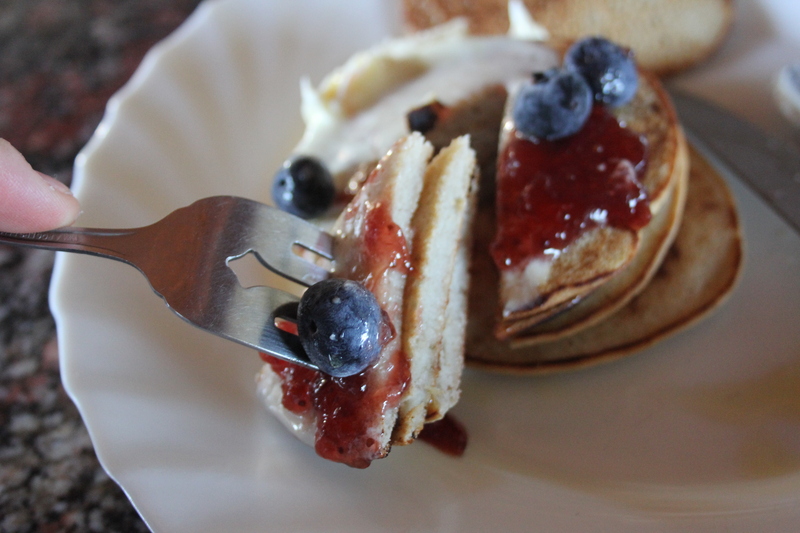 Anyone who knows me, knows my love of pancakes. Whether they’re a classic fluffy stack with maple syrup poured over them, a lemon and sugar crepe, or a healthier buckwheat and/or coconut flour stack topped with berries I can’t get enough! Lately I’ve been leaning towards using buckwheat and coconut flours. They’re guilt free, and keep you full until lunchtime. Buckwheat and coconut flour pancakes, topped with coconut cream, strawberry compote, and fresh blueberries! a plate with your choice of agave nectar, coconut cream, and berries.